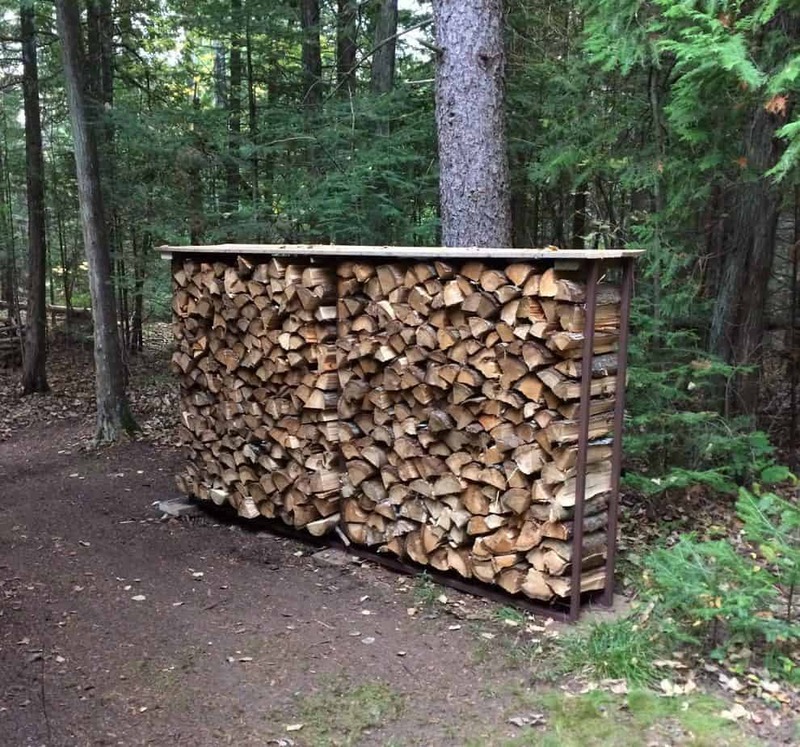 One of the many things we like to do at the cottage is re-purposing building materials. 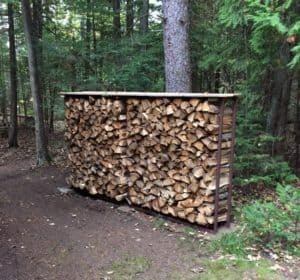 While we don’t go around salvaging items willy nilly, for the one day we might use them, we do sometimes find ourselves with projects that are perfect candidates for re-purposing building materials. Sometimes we seek the items on local swap sites or kijiji. More often, the materials are scraps from other projects. 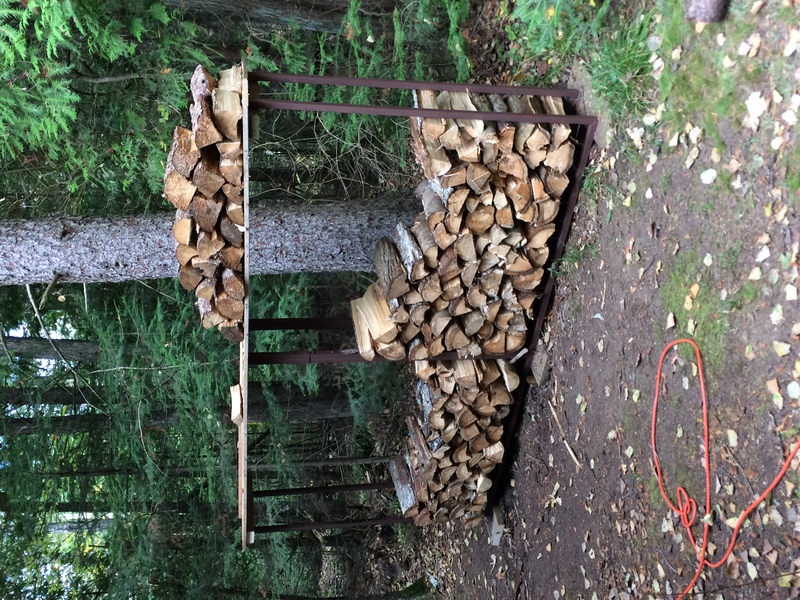 This past weekend, we wound up with a couple projects on our hands, just to tidy things up before winter. 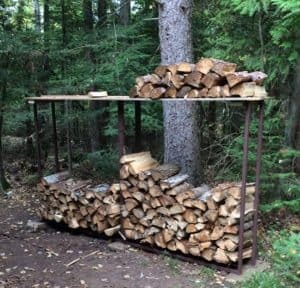 The first project was a frame for storing our firewood. I’ll post the second project separately. 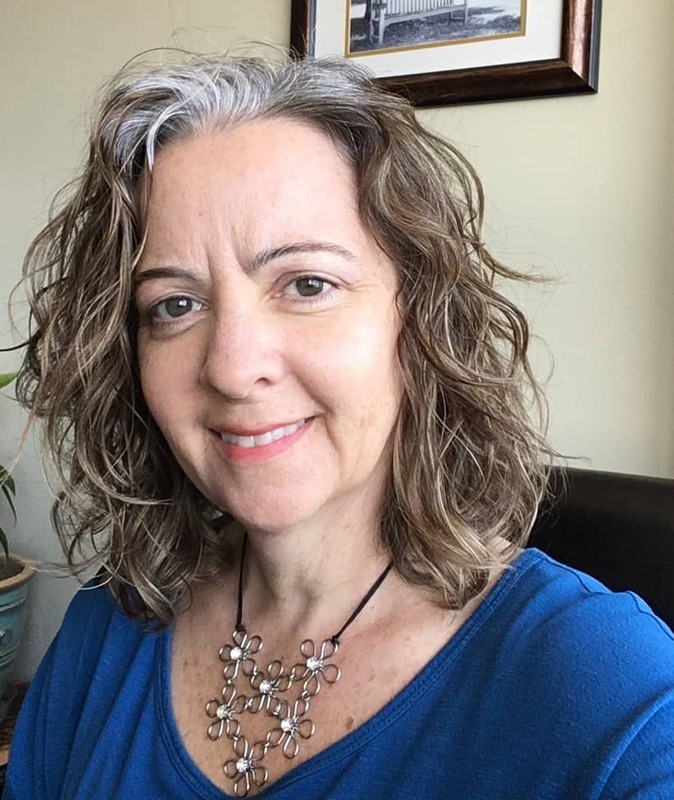 First, a little history on this project! For a couple years now, we’d been discussing remodeling our deck railings at the front of the cottage. While our first configuration was much better looking than the original railing, we knew we could do better. We’d been looking at the idea of steel mesh (I think the idea came from a cottage reno show on the Cottage Life Channel). 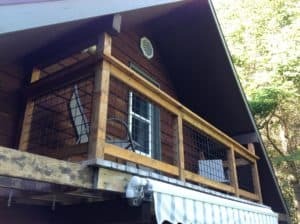 The idea was put aside then because the price of new mesh was a little rich “for the cottage.” No other railing options were much better at the time. So, the project was set aside. But then … by some miracle, Brian stumbled upon an ad for used steel fencing at a great price. The project was back on! He picked up the fence panels, painted the steel grid, cut it out, and now we have awesome new deck rails! There’s another section of this down below to match. Unfortunately, we also wound up with empty steel fence frames in the end. At first the frames went to the scrap yard. Then, Brian got creative! This turned out to be a perfect re-use of the fence frames! First he painted the bright red fence frames, and then he fastened 4 frames together. We had an added bonus of one row of steel mesh grid remaining on the bottom of the 4 frames. This will provide great air flow under the stack. A couple pressure treated boards for feet and another for the roof (both using leftover wood!) to provide a little bit of protection from rain and snow, and voila! A new wood frame! It looks so good that we’re almost sad it was built behind the Bunkie and not out on the front lawn! P.S. 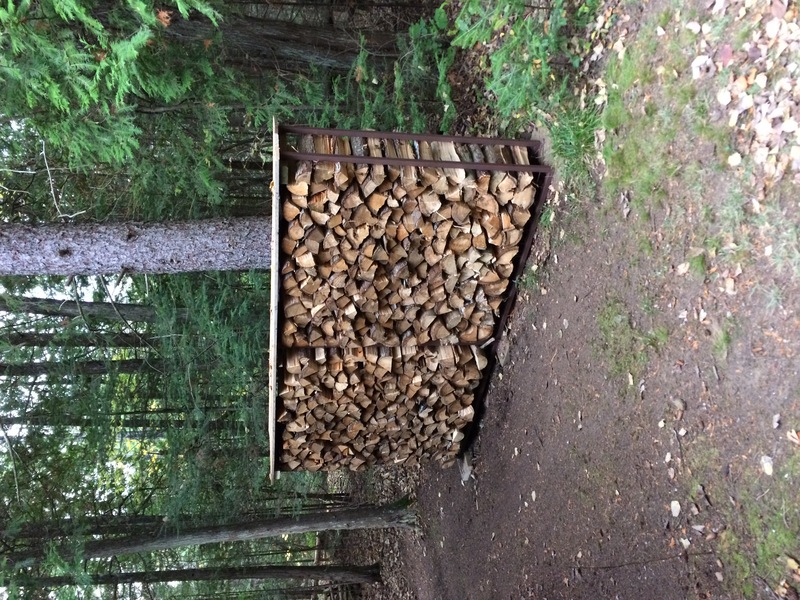 This was a solo project by The Cottage Husband … I was busy cleaning up the gardens.